§0. In the book Sein und Zeit (1927) and in other works by Martin Heidegger, the etymology of the Greek word alētheia ‘truth’ is explained as a negativizing of the element lēth-, attested as the verb lanthanein, which is used primarily in the sense of ‘escape the notice of’ in ancient Greek texts. Accordingly, Heidegger interpreted the basic meaning of alētheia as ‘unconcealedness’—to cite a commonly used English translation of his German term Unverborgenheit. I propose here to highlight a less-well-known interpretation of alētheia, which I think deserves its own place in the sun. This alternative is to be found in a book by Marcel Detienne, originally published in 1967; a second edition appeared in 1994, and an English translation by Janet Lloyd followed in 1996. In the first edition, Detienne was already fiercely critical of Heidegger’s interpretation, using philosophical, philological, and historical arguments in developing his own interpretation. 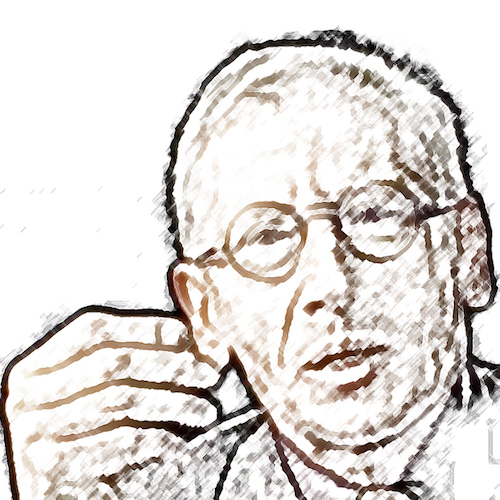 In the second edition, Detienne added linguistic arguments in taking his interpretation even further. In adding those new arguments, Detienne cited, with approval, my own work on the etymology of alētheia. In this brief essay, I concentrate on the linguistic arguments. Marcel Detienne, after a photograph. §1. In his preface to what he describes as the “American edition” of Masters of Truth, Detienne (1996; reprinted as Detienne 2001) cites my linguistic arguments in analyzing the etymology of the es-stem formation alēthe– that we see attested in the noun alētheia ‘truth’—as also in the adjective alēthes– ‘true’. Two relevant books of mine are cited in this context by Detienne (1996:143n37): The Best of the Achaeans (Nagy 1979/1999) and Pindar’s Homer (1990). In addition, Detienne (1996:217, also 141n31) cites a relevant article of mine (Nagy 1996) on Hesiodic poetry, where I recap what I say in my two books about traditional Greek poetic wording that instructs the listener to be ‘mindful’, as expressed by the root mnē-, of what is ritually and morally correct—and not to be ‘unmindful’, as expressed by the root lēth-. The negative aspect of such poetic instruction, in terms of my linguistic explanation, is the essence of the earliest recoverable meaning of alētheia: one must not be unmindful of whatever is true, and such truth must be not only memorable but also absolutely unforgettable. §2. Detienne (1996:217, also 141n31) goes out of his way to point out that such a linguistic interpretation can be viewed not only as a validation of his own hermeneutic model for explaining alētheia ‘truth’ but also as an obstacle to the explanation of “archaic truth” as formulated in an article by Thomas Cole (1983). Cole had intended his formulation to be an alternative to the explanation of alētheia by Heidegger, but, unfortunately, he had not reckoned with the explanatory model of Detienne, which I think is more comprehensive. As Detienne (1996:217) comments ruefully about Cole’s citations of relevant research on alētheia, he “appears to have read everything except The Masters of Truth.” For more on the argumentation of Cole and on the counterargumentation of Detienne, I cite the relevant analysis in a PhD dissertation by Anita Nikkanen (2011), the book version of which is in preparation. Blaise, F., P. Judet de La Combe, and Ph. Rousseau, eds. 1996. Le métier du mythe: lectures d’Hésiode. Villeneuve d’Ascq. Cole, T. 1983. “Archaic Truth.” Quaderni Urbinati di Cultura Classica 13:7–28. Detienne, M. 1967. Les Maîtres de vérité en Grèce ancienne. With a foreword by P. Vidal-Naquet. Paris. Detienne, M. 1982. L’invention de la mythologie. Paris. Detienne, M. 1994. Les Maîtres de vérité en Grèce ancienne. Revised ed., with a new preface: “En ouverture: retour sur la bouche de la Vérité” (5–31). Paris. Reprinted 2006. Detienne, M. 1996 (paperback 1999). 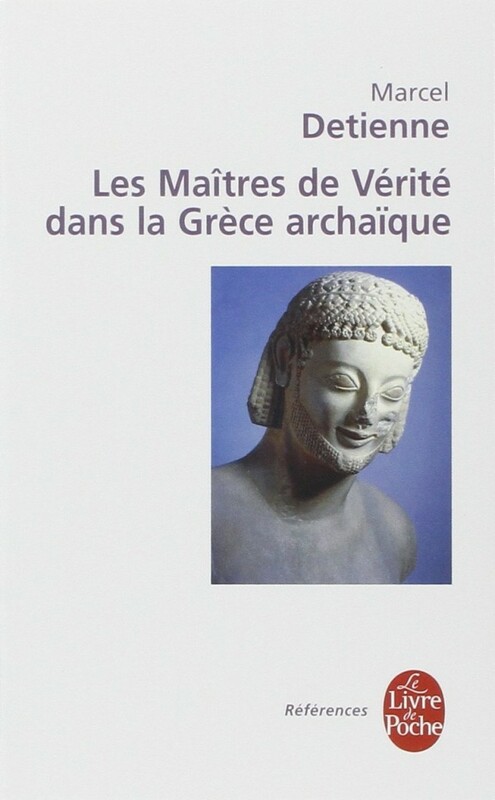 The Masters of Truth in Archaic Greece, including the new preface to Detienne 1994. Translation by J. Lloyd. New York. Detienne, M. 2001. “Return to the Mouth of Truth.” In Antiquities, ed. N. Loraux, G. Nagy, L. Slatkin, 205–221. Reprinting of the new preface as first presented in Detienne 1996. The text of this preface is contextualized at p. 205 by G. Nagy. New York. Loraux, N., G. Nagy, and L. Slatkin, eds. 2001. Antiquities. New York. Martin, R. P. 1989.The Language of Heroes: Speech and Performance in the Iliad. Ithaca, NY. http://nrs.harvard.edu/urn-3:hul.ebook:CHS_Martin.The_Language_of_Heroes.1989. Nagy, G. 1982. Review of Detienne 1981. Annales Economies Sociétés Civilisations 1982:778–780. Nagy, G.1990. Pindar’s Homer: The Lyric Possession of an Epic Past. Baltimore. http://nrs.harvard.edu/urn-3:hul.ebook:CHS_Nagy.Pindars_Homer.1990. Nagy, G. 1996a. “Autorité et auteur dans la Théogonie hésiodique” (tr. Ph. Rousseau). In Le métier du mythe: lectures d’Hésiode, ed. F. Blaise, P. Judet de La Combe, and Ph. Rousseau, 41–52. Villeneuve d’Ascq. Nagy, G. 1996b. Homeric Questions. Austin. http://nrs.harvard.edu/urn-3:hul.ebook:CHS_Nagy.Homeric_Questions.1996. Nagy, G. 2009. “Hesiod and the Ancient Biographical Traditions.” In The Brill Companion to Hesiod, ed. F. Montanari, A. Rengakos, and Ch. Tsagalis, 271–311. Leiden. http://nrs.harvard.edu/urn-3:hlnc.essay:Nagy.Hesiod_and_the_Ancient_Biographical_Traditions.2009. Nikkanen, A. H. E. 2011. Archaic Greek Memory and Its Role in Homer. PhD diss., Harvard University.